A screen that appears when you need it, and rolls away when you don't. 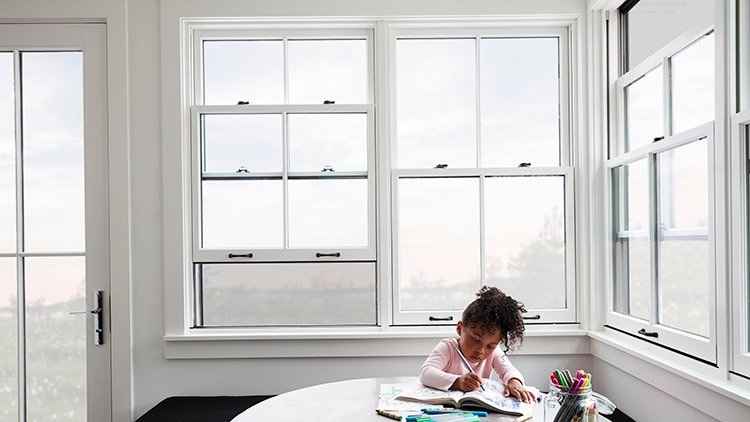 *Performance solutions offering an unbeatable combination of energy efficiency, sound control and value, require upgrades to triple-pane, AdvancedComfort Low-E mixed glass and thickness. Based on comparing product quotes and published STC/OITC and U-Factor ratings of leading national wood window and patio door brands.